Alabama, Oregon, Florida State and Ohio State have been ranked 1- 4 in the College Football Playoff selection committee’ first 4-team bracket. The new playoff system seeks to give the No. 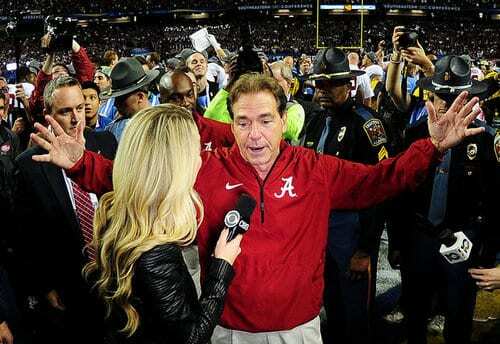 1 team a “home-field” advantage, and so Alabama will play Ohio State in the Sugar Bowl, and Oregon will play Florida State in the Rose Bowl, both on Jan. 1. This entry was posted on December 8th 2014 at 9:23am/09:23 and is filed under Live News Column 1, Sports. You can follow any responses to this entry through the RSS 2.0 feed.